Shifting goods to a local region of Pune is the most challenging part of relocation. The challenge becomes quite daunting when goods to be shifted have varying degrees of fragility with some very delicate items requiring extra care. This is why, packing everything and moving safely is tedious and troublesome, especially when you’re doing it alone. 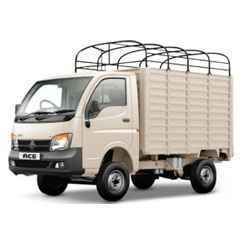 When local shifting is to be made, then most of the people in Pune prefer to hire tempo as they are not only pocket friendly but also benefit in many ways. The professionals of tempo rental companies have immense experience in handling extremely fragile electronics, utensils, and other prominent goods. With their experience, they know how to pack and categorize these goods for easier access and unpacking after the move. This ensures a safe, secure and convenient movement of your goods. Best truck hire companies in Pune have all the resources required for smooth and secure relocation. They have the right tools to dissemble your heavy goods, open water purifier tanks, and any other thing that could be needed at new place. When shifting on own, you are likely to cause some damage because bulky goods can’t be handled without right tools and expertise. So, when you hire, professional tempo hire companies, you give away all your relocation worries. Costing is another aspect that may make up your mind to hire local truck services in Pune. For the smooth and damage free shifting of the goods, you will be required to hire a truck, labor (if required), packing materials and so on. There are chances that you may not get these things from a single source. Contacting transporting service providers and arranging packing materials may not only prove to be costly for you but may also give you lots of headache. In order to prevent yourself from this stressful situation, it makes a great sense to hire the services of Pune truck rental companies and have an unforgettable experience. Professional truck hire companies offer peace of mind throughout the transportation process. To have an easy time relocating and settling down at your new home, there is no better option than hiring experienced service providers. They offer amazing services to make your moving experience as delightful as possible.